Old Town Alexandria is a thriving place. From the killer restaurant scene to the city’s charming streets, there’s plenty to love about this quaint town. And you can add the “water” to that long list. If you grew up near the water in a seaside city like Seattle or Portland, Old Town can offer you a small taste of that. You’ll want to head to the seaport at King Street to soak up what this waterfront area has to offer. One of the benefits of living near King Street is the sheer number of parks. Founders Park and the Waterfront Park are both located right on the water and are just steps from King Street. At Founders, you’ll find dog-friendly walking paths, a picnic area and a place where you can admire fresh flowers too. At the Waterfront Park, you can enjoy seeing picturesque statues of a ship builder and old anchors or just have a nice place to sit by the water. For an even longer list of park spaces in the area, click this link. All the options are sure to provide you with Instagram-worthy scenes. There’s nothing like actually getting on the water. If you’re not a boat person, but you’re headed to a Nationals game in the District, you can take the Baseball Boat. Forget about worrying about where to park downtown and enjoy a cruise up and down the Potomac River before and after games. If you’re a dog owner, you can even bring your furry friend along on a handful of boat rides during the summer. For specific dates when you can bring Fido, check out this link. If you’d prefer to have a meal on the water, consider taking a Dandy Restaurant Cruise. You can have your choice of Sunday brunch, lunch, or a three or four-course dinner. For great views and top cuisine, consider eating at The Chart House. Dine alfresco in the sun or indoors in air-conditioned digs while you take in sweeping waterfront views. As you might imagine, this menu is dominated by seafood options. Indulge in great dishes like lemon herb crusted salmon, bronzed swordfish and port wine glazed Chilean sea bass. For dessert, we’d recommend the hot chocolate lava cake. Enjoy a decadent hot chocolate cake filled with Godiva liqueur in the center and topped with a Heath bar and vanilla ice cream. Sounds like heaven on a plate to us. If you’re searching for a luxurious apartment community that’s nearby the bustling seaport at King Street, consider living at The Frasier. Living by the waterfront is just one of the many perks you’ll enjoy as a resident of this stunning property. 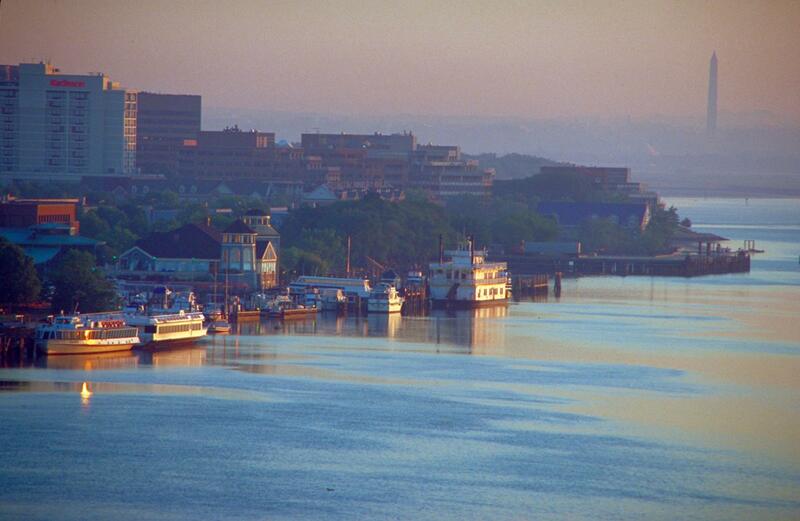 Contact Bozzuto today to secure your fabulous apartment at this breathtaking Alexandria, Virginia community.